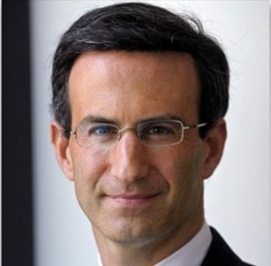 Join the World Affairs Council of Dallas/Fort Worth who will host special guest Peter Orszag who will discuss "The U.S. Political Economy" at the Rosewood Crescent Hotel. In the midst of another election season, the economy is on every American’s mind. Social security reform, universal healthcare, unemployment and the budget deficit are at the forefront of both national and kitchen table discourse. Having served under the Clinton, Bush and Obama administrations in budgetary and economic positions, Peter Orszag has been a key player in many of the debates occurring in Washington. As director of the Congressional Budget Office under President George W. Bush, he was credited with preparing Congress for future debates on issues such as healthcare and Social Security Reform. Most recently, as director of the Office of Management and Budget under President Obama, he was instrumental in the creation of the Patient Protection and Affordable Care Act. In his weekly columns for Bloomberg, Mr. Orszag focuses his articles on hot button fiscal issues. As current vice chairman of Global Banking at Citigroup, he has a keen grasp of the nexus between Wall Street and Washington. Peter Orszag received his bachelor’s degree from Princeton University before going on to receive his master’s and Ph.D. as a Marshall Scholar at the London School of Economics. He was the deputy director of Economic Studies at the Brookings Institution from 2001 to 2007, where he also headed the Hamilton Project and the Retirement Security Project. During his time at the think tank, he published several books including Protecting the Homeland and Aging Gracefully: Ideas to Improve Retirement Security in America. RSVP: Click here to register or call 214-965-8412.